Nepal is South Asia’s third most expensive country as noted by The Economist Group earlier this year. Inflation has long become a part and parcel of the capital dweller’s life. The prospect of dramatic political changes looms on the foreground as we get ever so close to discovering the results of our historic federal and provincial elections in its entirety. Close attention is being paid to the ongoing developments, each win and each loss is being scrutinized, and the sense of anticipation for the future is almost palpable. However, putting the elaborate discourses aside, down at the markets, you find people still trying to muddle through the usual predicaments. But this indeed is life in South Asia’s third most expensive city as noted by The Economist Group earlier this year. Inflation has long become a part and parcel of the capital dweller’s life. We have all at one point had relatives living abroad express their shock at the high cost of a singular restaurant outing. Aspiring entrepreneurs still struggle with exorbitant rent. Young adults express that they find it impossible to manage any savings without holding multiple jobs and so on it goes. So after checking out the markets and beyond, many voiced that the country’s economic stability and its eventual growth is currently a big need in their lives. Of all the expectations they have from the new federal government structure, this definitely takes precedence. Uma Shankar Prasad, professor of Economics at Tribhuvan University, helps us break down the cause of our market’s inflation. He labels this as abnormal inflation and says it’s hard to pin it down on one definite rationale. There are numerous causes, some of which people might have figured out themselves. “A kilogram of sugar that costs Rs 300 in Makwanpur sells for Rs 700-800 in Kathmandu. Two places that are an hours’ ride away can have up to Rs 500 difference in the available products. Ask yourself, what is that about?” says the professor. It’s a phenomenon that has mostly been associated with our transportation service. But the cartel system, where producers or suppliers of goods and services agree on arrangements to fix the market price, allocate market, increase prices, decrease the quality of goods and services, is said to have a reach in almost all the sectors everywhere in our country. As a former fellow of the Nepal Economic Forum, Sijan Thapa shares she too was part of a team that was carrying out researches on the matter for the platform. She reveals her surprise on the prevalence of the cartel syndicates in different sectors. “Their reach is tremendous. Cartels can be found everywhere. Agriculture, hospitality services, business, construction, gas, oil, it’s not just the transport sector,” she says, but the find wasn’t only a surprise to her. The report of the research is still being worked on and it is yet to be published. But we can’t forget that for many wary about these ills negatively affecting our market and troubling the consumers, there is renewed hope for reform under federalism. Even Khanal at her local vegetable market was optimistic. “The market is bound to change for the better, isn’t it?” she had inquired. Trishala Rai, 29, for instance, also shares she has been working towards her dream of buying a piece of land in Kathmandu for her family for five years now. The inflated land prices, however, has been demoralizing, to say the least. While developed economies augment its land prices in consideration to income distribution and their industrial growth, that’s certainly not the case here. As the financial survey of 2073 BS states, even though Nepali household income has increased by 56 % in six years, the land prices have increased by 330% over the past 30 years. “In the long run, with the new government structure, I’m hoping ambitions like owning your land will be a plausible one for young Nepalis like me,” says Rai. Similarly, Bhupal Shrestha, 28, an environmental studies student, is hoping federalism will encourage more entrepreneurs in his hometown Bhorlini in eastern Nepal to become more innovative and explore alternate energy sources like wind power. He believes his province might consider it an effective way to compete with other provinces that can heavily rely on hydropower for its revenue generation. Professor Prasad believes it is important to acknowledge the possibilities for economic stability and growth that the five years may bring. Where unnatural inflation is particularly concerned, with the right vision, effective policies, and its earnest implementation, he believes it can be a thing of the past. As he put it, “Federalism is bound to strengthen the monitoring and transparency in the market. Further, strong local government is also going to encourage provinces with self-production, processing and distribution. Increase in production level and decrease in supply deficiency shall help us wrench the market out of the grasp of those influencing it negatively.” That’s the best case scenario. It’s still too early to tell but the possibilities are genuine. But then again, as Biswo Poudel, professor of Economics at Kathmandu University, points out, despite the many talks of overall prospects, we haven’t yet heard the details on the exact method and manner the administration is going to execute the reformative policies. “Changing the status of a country alone isn’t going to bring prosperity. A lot of hard work has to be put into materializing the schemes,” says professor Poudel. What with the administration layouts, logistics, costs, and expenditures to be determined, everybody expects the first couple of years to be chaotic. But in regards to issues of inflation as well, there are analysts like Sajal Dhital, economics graduate from Delhi University, who also notes factors like unequal allocation of resources in the seven provinces. He, like many others, believes that provinces in Tarai where there is maximum revenue and benefits like that of an open border will go on to have an advantage over those in the hilly areas. It is apparent that the public is keen to put their hopes on the new government system to relieve them of a major economic hassle that is inflation. But yet again, it seems it boils down to how the different administrations put themselves together and the kind of policies they will choose to advocate. 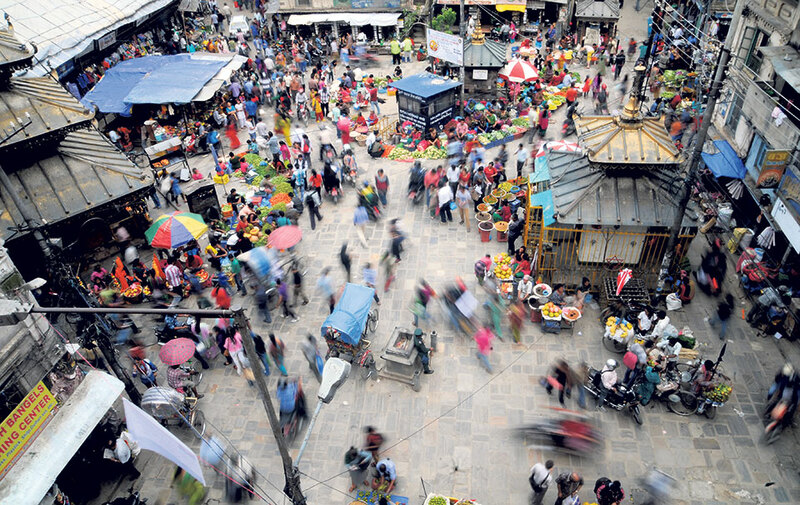 KATHMANDU, March 3: A total of 4.5 million shares worth Rs 1.96 billion were traded in the share market this week. 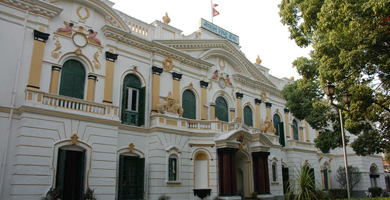 KATHMANDU, June 25: The Nepal Rastra Bank is issuing NRB bond worth Rs 10 billion in the market on Sunday.